In today’s business landscape, “Organic” is one of those buzzwords that gets thrown around a lot. But in the case of Wheeli, co-founded by Alex Ayache, ’14ENG, Jean-Pierre Adechi, and Steve Delor, it perfectly describes not only the company’s free-spirited ethos, but its successful model for business growth as well. The app, which enables “Wheelsters” to hitch rides with other students headed in the same direction, has been a major hit at colleges like the University of Vermont, and continues to expand at neighboring campuses like Champlain College and Saint Michael’s College. Ayache, Adechi, and Delor initially met while playing pickup soccer in NYC, and quickly bonded over their common roots; Ayache and Delor are both French expats, while Adechi had attended the Lyceé Francais in Manhattan. In addition to their shared language, the trio boasted a diverse set of skills gained from years of advanced education and training in the field. Ayache had two master’s degrees — one in Engineering from France and the other in Operations Research from Columbia. Delor also had a master’s, plus impressive software engineering experience gained at the Société Générale, the top French bank. Finally, Adechi had a wealth of hands-on startup experience, having launched numerous successful ventures in the past. 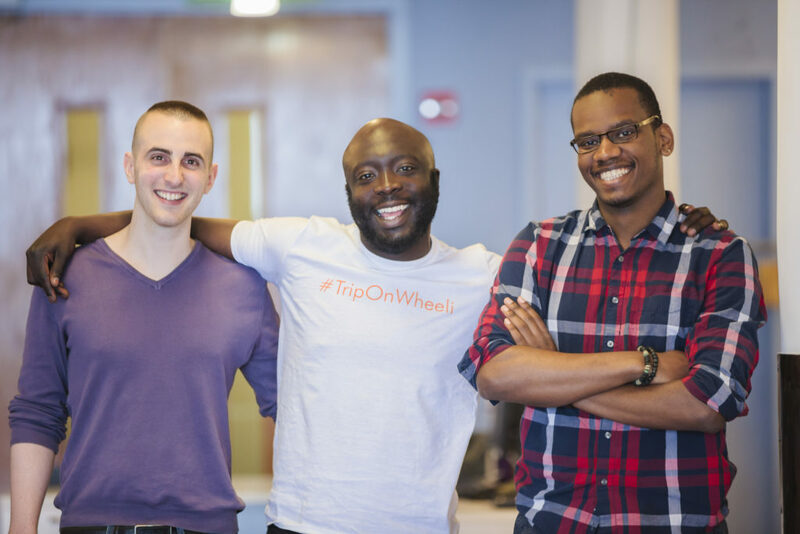 The idea for Wheeli came from lived experience: during his freshman year at Wesleyan University, Adechi had found that securing rides to and from the remote, small-town Connecticut campus to his home in NYC was both difficult and costly. Later, while traveling with a friend across Spain and France, he came upon a website designed to help travelers hitch rides with like-minded drivers. Could this idea be transplanted to U.S. college campuses, with the added convenience of mobile technology? It would seem that the answer is a resounding “yes!” Since relocating to the Columbia Startup Lab in February of this year, Wheeli has amassed a sizable following. Not only are college students using the app to hitchhike regularly, but because drivers are vetted members of their academic community, they’re doing it safely, too — in fact, the majority of users so far are women. At its core, Wheeli was built upon the simple notion that people are still interested in real-life relationships and adventures. As Adechi explains, “We’re just providing an up-to-speed and up-to-date platform for people to connect with one another, get to where they need to go, and have meaningful new experiences along the way.” If their success so far is any indication, this simple idea may be getting a lot of mileage in the years to come.